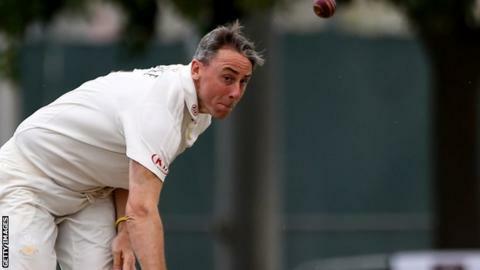 Surrey and MCC settled for a draw in their Champion County game after rain curtailed the final day in Dubai. MCC resumed on 221-1 and had moved onto 265-4 - a lead of 10 - when play was called off after lunch. Opener Dom Sibley had added 26 to his overnight 102 when he was bowled by Rikki Clarke, and Tom Abell was pinned lbw next ball shortly before stumps. Spinner Scott Borthwick claimed the only other wicket to fall on day four, bowling Tom Westley for 28. Surrey host Durham MCCU on Thursday 4 April, and then begin the defence of their County Championship title with a home fixture against Essex starting a week later.